The origin and development of oral literary epithet has never been epitomized better than in the works of Athenian philosopher-Plato. 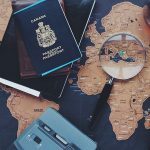 The core of fluent and appealing speech in literature derives a lot from his dialogues as he depicted real historical episodes in apparent philosophical presentations of ancient life in Greece. Notably, his earlier works such as Apology, Crito, Laches and Lysis, his middle dialogues such as Cratylus, Meno and Symposium, Parmenides and Phaedrus and later dialogues such as Sophist, Statesman and Laws among many others all employ oral and written literary styles precedent but highly influential of oral literature today. Whereas these works attempted to portray the circumstances of the time, many of them remain largely symbolic; evoking varied literary interpretations in search of contextual meanings. In Apology, Plato’s recount of Socrates’ predicaments in the hands of the jury is highly contemplative. In this paper, the writer presents an analysis of Apology in the understanding of various scholars and with an aim of arriving at an interpretive conclusion about this noble yet enigmatic account. The writer hypothesizes that, as a philosopher, Plato may have taken advantage of his presence and closeness to his mentor and the latter’s predicaments (real or imagined) to artistically but philosophically attack negative ethical themes related to acquisition of knowledge propagated by Socrates but which remained diehard in the minds of his contemporaries. The strength and extent of interpreting Plato’s Apology is constrained as a matter of fact, by Plato’s own role in the writ. This dialogue can arguably serve two distinct but complementary roles in literature; as a philosophical work of art and as a recount of a real historical predicament. The first line of argument borrows from the understanding that Plato may have had an inclination to present his own artistic philosophical views of the major theme in the dialogue- ethical understanding of wisdom and the paradox of knowledge- in a scholarly disapproval of unrealistic orators who put up hypocritical faces in their ignorance. Vlastos actually suggests that the main drive in Socrates’ putting up a strong defiant show in apparent knowledge of a potential and impending death sentence was uncharacteristic of a man fighting for ‘no universal course’ except for his own survival (22). Brickhouse and Smith assert that the show could only have been artistically used by Plato to display the extremity with which the ‘wisdom in ignorance’ of his contemporaries would be successfully countered (28). The orators knew that they did not know but still hypocritically claimed knowledge. The Socrates presented here by Plato therefore had to use artistically appealing claim of ignorance to lambaste this hypocrisy. The strength of the purported artistry in Plato’s depiction, however, finds fault in the interpretation that, due to his closeness to his mentor, Plato may not have sacrificed; neither may he have preferred to use his mentor’s predicament to make cheap and untrue interpretation merely for advancement in philosophical thoughts. 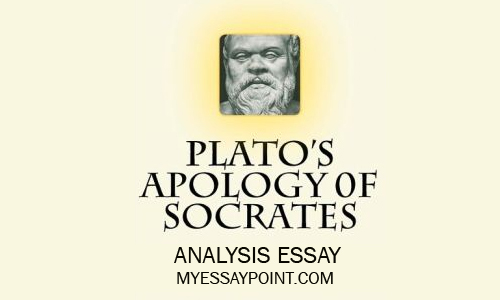 Vlastos suggests that Plato was actually remorseful of what happened to Socrates and considered plotting the dialogue to take a sympathetic tone to indicate that Socrates was wrongfully and unfortunately sentenced to death for ‘saying the truth’ (29). Further arguments indicate that mere philosophical art could not have been Plato’s intention because, as at the time of the Apology, most contemporaries of Plato, some quite informed about Socrates were still living and would have taken Plato’s work as improper (Compton 345). Several arguments hold that the trial of Socrates embeds truly to historical, political and societal ethical developments of ancient Athens. Compton suggests that Apology historically recounts an actual defense made before approximately 500 (some articles put it at 501) judges, whom, however some sympathized with Socrates on his views about wisdom, corruption of the young minds, blasphemy to gods of ancient Athens and general ethics, were angered more by his opinion for a preferred sentence (330-47). Proponents of this interpretation assert that Plato may not have wanted to embellish the memory of Socrates but present a true but unfortunate predicament of a really down to earth and compassionate representative of the Oracle of Delphi. He is the only credible source and witness of Socrates in trial. He was mentioned by the latter during the trial and may not have had any other poignant motive than a presentation of the truth of the time. Other recounts of Socrates’ trial such as Xenophon in his Apologies of Socrates, mention him too (Lesher 275-288). Whereas Xenophon may have differed with Plato’s Apology on chronology, he does not claim it as inaccurate. Opponents of apology as a historical account dismiss it as untrustworthy: that Plato was just being more philosophical, moderately artistic and less realistic. In 1741 Brucker’s criticism argued in his ‘Historia Critica Philosophiae’ that Apology had a number of inconsistencies that did not support the notion of the writ being a purely historical account of Socrates in trial but a make up of Plato’s perception of what Socrates may have been thinking at the time of the trial (Lesher citing Brucker (1741) 277). He argued , for example, that contrary to Socrates’ own account, it was absurd if not unrealistic to ask the Oracle of Delphi if anyone was wiser than Socrates whereas the latter had actually previously dealt with philosophy and a philosopher was, by standards of the time, a wise man. In all these contradictions, however, history seems to back this account as a true reflection of the 399 BC trial of the enigmatic father of western philosophy and author of fascinating oral literature. The contexts of interpretation actually fluctuate between these widely held views but the crux of the interpretations lie in the ethical themes which may have been presented in ancient Athenian history or which artists (Plato included) may have wanted to present through philosophy. The dialogue is rich in oratory skill and depicts a competition for the same through which orators of Socrates time and him struggled to outdo each other. The content of oratory power boiled down to thematic presentations of philosophical ideologies for or against what is true and right. It is important to note that art change with time and finds dynamic interpretation in history. That Plato wrote Apology soon after Socrates’ demise means it was some kind of post humus biography and credit to such artistic work lies on Plato for truths and positive falsehoods in his assertions; a credit that cannot be denied. Similarly, the fact that Plato was a philosopher and therefore relied on artistic rhetoric to appeal to his followers’ means he should be considered right in his assertions if he cannot be proved wrong. Nevertheless, literacy in Plato’s dialogues require modern understanding rich in thematic interpretation and which should be devoid of the biases associated with historical or artistic judgments of Plato’s work. Scholars such as Noussan have suggested literary styles relevant to current Copernican and metaphorical interpretations of development of literature into modernity to conclusively understand ancient literary dialogues. Through phenomenological and existential frameworks, the philosophy of Apology can be laid bare. This can be done by first establishing the central theme of the writ. Thereafter, it becomes easy to interpret passages in light of this main theme. This not only rids the piece from the historical inadequacies but also exposes it for the artistic (or otherwise) work that it may be. Literally, Apology is Plato’s version of Socrates’ speech. Plato happened to be present as an observer of the trial. The truth or otherwise is temporarily left for the historians to fight out using dates and documentations. In this case, neither Plato nor the jury left documentations to prove as true or otherwise the allegations (if there were allegations at all). The dates for the trial or even the number of judges are not clear (Brickhouse & Smith 520). ‘Apologia’ from which Plato’s title borrows meant a speech in defense of a cause of actions or belief, then. Artistically, this meaning has changed and has a modern tag tantamount to submitting in way of speech for wrongs done to another. Plato may have meant even a different thing, equal to submitting to the ignorance of the ‘orators’ by way of death if at all Apology was an artistic philosophical metaphor. Nevertheless, from an existential framework- viewing the human subject of philosophy as a thinking, feeling, acting individual within his/her conditions of existence – Plato attempted to portray through Socrates’ predicament the theme of confusion and disorientation that characterizes human’s knowledge and which, as is suggested in the piece, the orators claimed to have but they did not. Plato suggests that Socrates ‘determined the politicians were impostors…poets did not understand even their own poetry and …craftsmen proved to be pretentious too’ and artistically and philosophically explains the paradox of the absurd and meaningless world where everyone is ignorant and only becomes knowledgeable when he/she realizes he/she does not know (Kraut 652). This creates a metaphorical interpretation of the central inadequacy of knowledge through which accusers of Socrates, without knowing, went ahead and convicted him of corrupting the young, refusing to worship gods of ancient Athens and creating inexistent and new deities. In the trial, Plato (or Socrates if he actually did) creates a scenario where the less knowledgeable suffices as the most knowledgeable, contradicting the chief of orators in an apparent proof of the paradox of knowledge and in support of the fact that knowledge is God-given. In phenomenological philosophical interpretation, Plato may be considered to have used real or imagined trial of Socrates to appeal to the general phenomenal consciousness of his listeners. Systematically, he pondered over what happened to Socrates; highlighted the theme of knowledge and its lack thereof and who may have been responsible for instilling knowledge to persons and considered a highly transformed ‘first person’ viewpoint to bring this consciousness to the people. Whereas knowledge is given by God and which Plato affirms, the phenomenological approach by Plato presents a rigorous scientific and conscious understanding of ignorance thereafter which a person may be knowledgeable. Interpretation of Apology should, according to Kraut, thus be phenomenological. The central theme of Apology can be considered as an appeal to consciousness about knowledge that Plato wanted his audience to appreciate. Apology is an enigmatic and a largely symbolic artistic piece that has continued to evoke varied literary interpretations. It is a deeply contemplative writ that borrows from reported chronological accounts of Socrates in trial. Various scholars have attempted to analyze Apology with an aim of arriving at a commonly accepted interpretive conclusion. Whereas the motives behind Plato’s writing are debatable, it is prudent to analyze his work thematically. As an appreciation of the fact that Apology is a philosopher’s work, it is in order to provide both existential and phenomenological interpretations of the dialogue to point out the main theme and read within the parts to analyze the sub-themes. Plato was artistic but realistic in his evocation of the consciousness of his contemporaries about their ignorance about knowledge propagated by Socrates but which they wished not to appreciate, opting for hypocrisy and condemnation of those who said the truth. Socrates in the mind of Plato is one such prophet of truth.